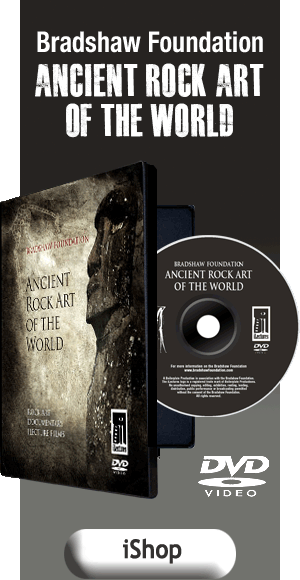 When one says ‘rock art’ our minds are usually directed to the beautifully painted images hidden deep within dark Palaeolithic caverns of France and Spain. Not many people are aware, however, of the huge diversity of different traditions involved in the production of stone images through time and space. They have been discovered on every continent, and in certain places they are as old as those found in Lascaux and Altamira. 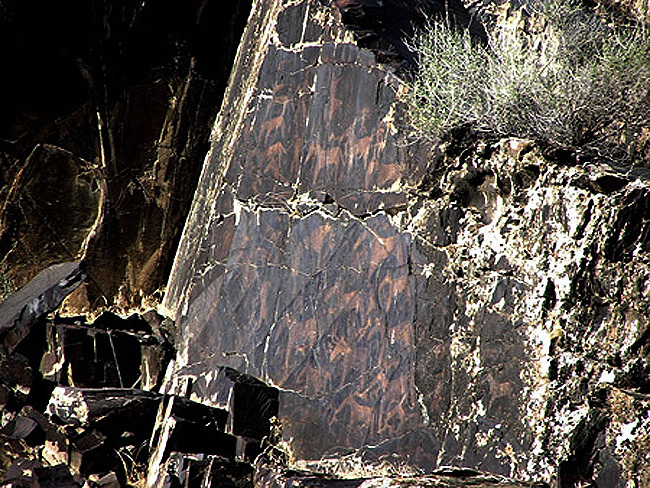 The advancement of rock art research in different parts of the world varies from region to region. 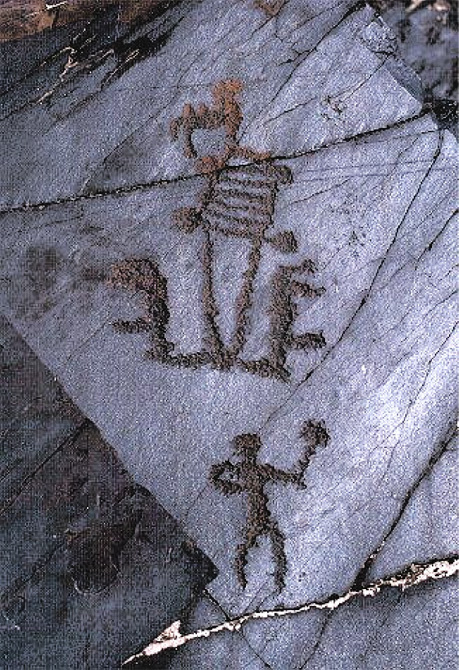 Rock art is still not fully recognised in Central Asian studies, although the beginnings of research inquiries in this area date back as early as the XIX century. 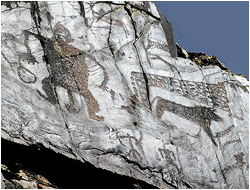 Currently we know of more than 140 locations of rock art sites in the territory of Uzbekistan. 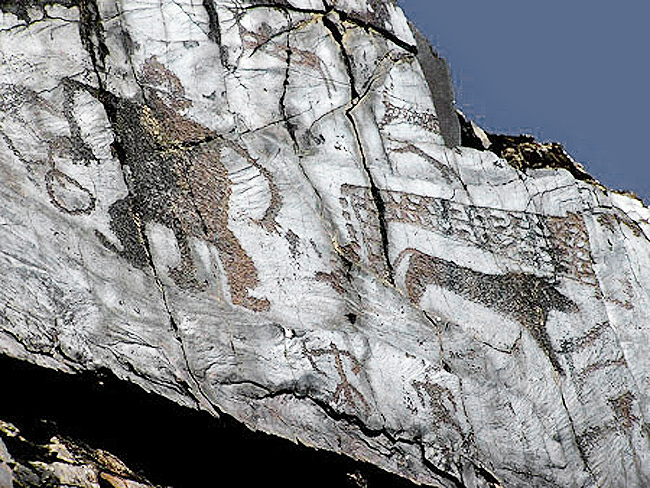 The overwhelming majority of these are ‘petroglyphs’ (engraved or pecked images in stone) which spread up from the southern borders of the country to the north and across the Tien-Shan in the east to the extremely arid Kara-Kum desert in the west. Their presence in a variety of ecological zones points towards to cultural diversities and, to some extent, testifies to their antiquity; for instance, in arid areas people probably created them when the land was less drier than today. The detailed analyses of images enable us to propose some statements concerning their antiquity, although one must remember that the exact date of their creation remains difficult to obtain at the moment. The methods of direct dating rock art that have been pioneered in recent years involve high costs and only provide a variable reliability of results that do not encourage their future application. The uncertainty of the absolute dating of rock art, should not be, however, perceived as a hindering barrier to other questions like the meaning of the images, the ethnic identity of the image makers, or attempts at reconstructing the social contexts in which the images operated. Furthermore, in some cases, it appears not too difficult to distinguish between older and younger images and their connection to a given pre- or historic period. 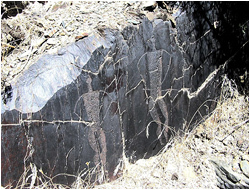 The examination of image superimposition, degree of patination (‘desert sunburn’), technique of execution (especially in the case of engravings), and stylistic and subject analyses can create the basis for the establishment of a relative chronological scheme. The most productive method among them is the careful identification of motifs.  Correlating different rock art subjects with, if possible, the archaeological record makes it possible to distinguish some iconographic elements specific to particular chronological periods. In particular, the images of bulls can be associated with the Stone or early Bronze Age, wheel vehicles could of appeared no earlier than the Bronze Age, and the images of warriors armed with metal swords can not be older than the local knowledge of metallurgy. 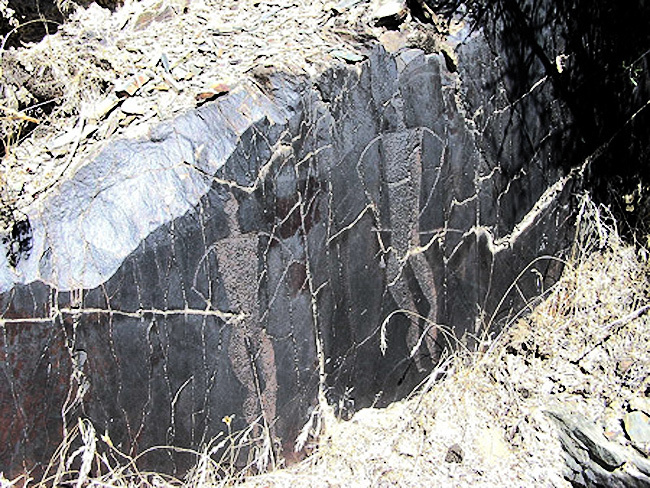 Thus, considering such aspects of rock art imagery scholars have been able to distinguish four general chronological complexes in Central Asia which are applicable also to the prehistoric art of Uzbekistan: the Stone Age (IV-III mill. BC; some images like the paintings in Zaraut-Kamar can be older), Bronze Age (III-II mill. BC), Iron Age (I mill. BC – I centuries AD), and Middle Ages (I mill. AD).